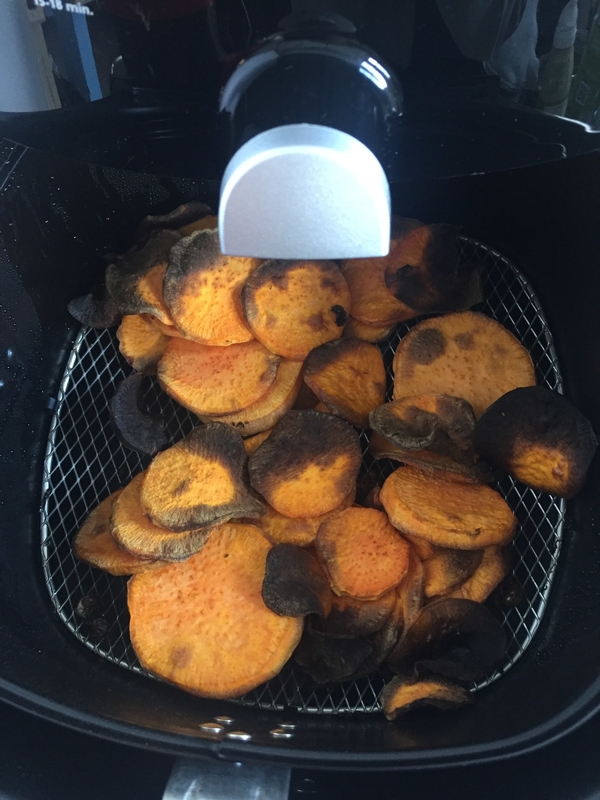 The Airfryer is supposed to fry foods in a ~healthier~ way. But how legit is it? I wanted to find out. I'm Michelle, and I love fried food. If I had to pick just one thing to eat for the rest of my life, it'd be french fries — zero question about it. French fries are even my favorite pizza topping. That said, I actually maintain a pretty moderate diet (or at least try to 🙄). So when I heard about the Airfryer — a kitchen gadget that says it can fry foods with a tablespoon of oil or less — I thought the heavens were finally rewarding me for all the kale salads and low-calorie dressing I've endured. 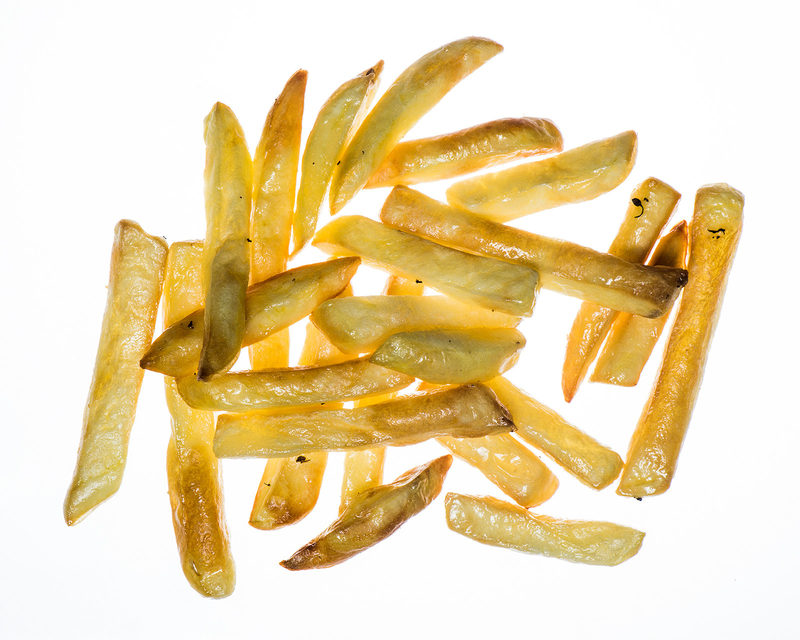 On its website, the Airfryer is touted as helping you "fry in a healthier way with up to 75% less fat." Practically speaking, the Airfryer does this by cooking food using super-hot air, drying out its exterior to help it attain the crunchy texture of traditionally deep-fried foods. 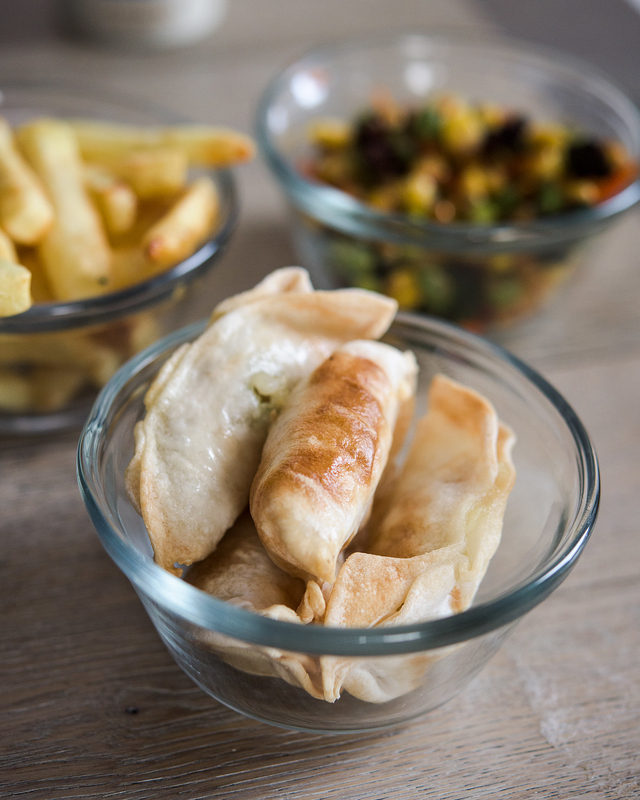 I wanted to find out: Does air-fried food actually taste good? 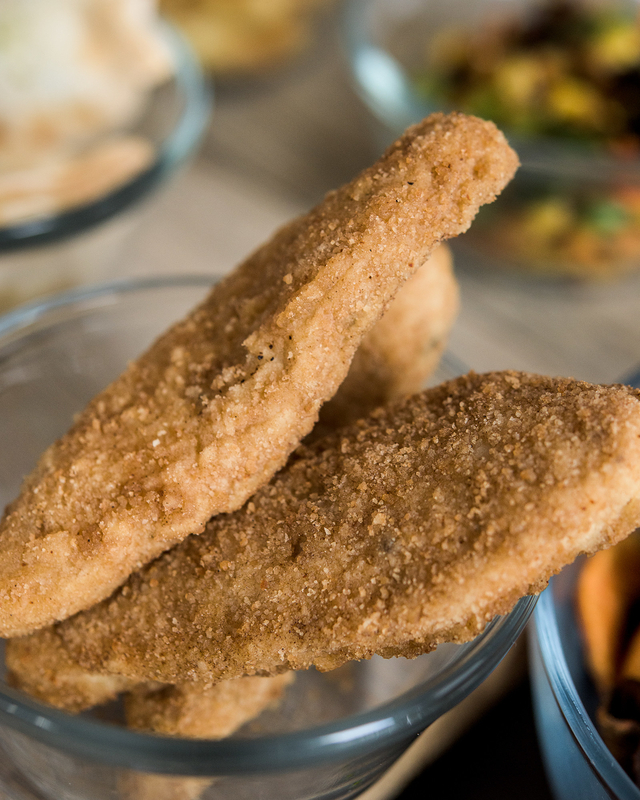 With so little oil, can it even get crunchy enough to compare to deep-fried foods? I decided to investigate. The first thing I realized is that the Airfryer is not that intuitive to use — like, you can't just pop this thing out of the box and start frying things. The egg-shaped oven disassembles into four separate parts — the shell, the pan (or drawer), the mesh basket, and a rack. Once you figure out where the food goes (the basket), you also have to find out what temperature and time to input. You can do this by reading the illustration on the front of the Airfryer, flipping through the recipe booklet included with the Philips Airfryer, or simply testing out a bunch of times yourself. Pro tip: Start your timer at 5 minutes at 200°C, and just add or subtract minutes or degrees from there. That's basically how I figured out the optimal frying times of all my foods. That's more or less how much oil I used for every food I air-fried. Alternatively, the recipe book (here's one version of it) mentioned other methods, like "drizzling food with oil and tossing to coat," incorporating oil into the bread crumb coating, or using premade foods like puff pastry that come with oil or fat in the mixture. Apart from the health benefits of using such minimal amounts of oil, another logistical pro is that you're not left with a huge vat of burning-hot oil cooling in your kitchen. 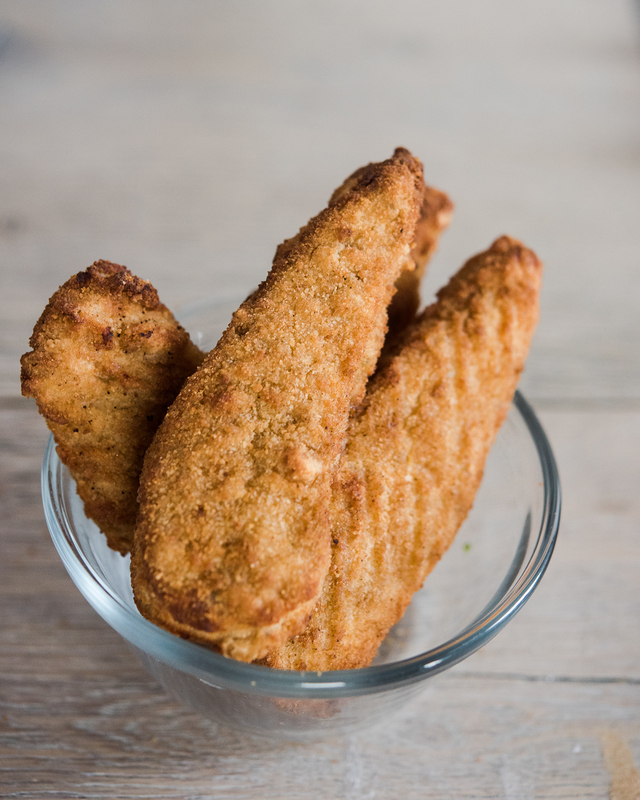 Amazon commenters had mentioned that the Airfryer is supposed to be great at frying frozen foods — so the first thing I tried air-frying was frozen chicken strips. And they actually came out pretty "fried"! I wouldn't say it had the sharp, audible crunch of deep-fried chicken, but it had brittle enough edges and juicy meat. On a scale of limp AF to scrape-the-roof-of-your-mouth crispy, it was a solid 7. The Airfryer was also impressive because while I would have traditionally used two appliances to fry it (a microwave to defrost the chicken + a pan or deep fryer to cook the chicken), in this instance I simply needed one. Pretty cool. Next, I tried some frozen dumplings, which the Airfryer was also effective in "frying." Crunchy on the outside and juicy, piping-hot vegetable stuffing on the inside. 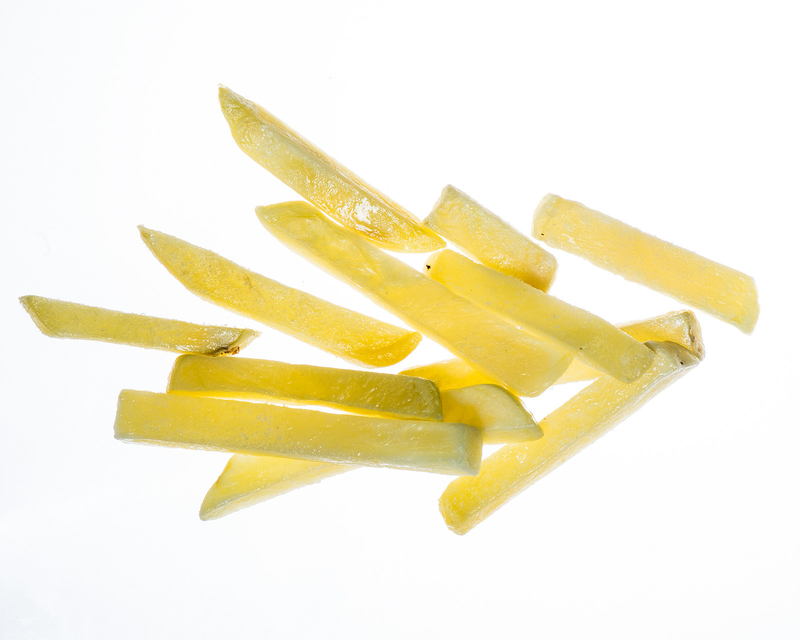 It was EXTREMELY important and central to this experiment that the Airfryer effectively fry frozen french fries, so I decided to really scrutinize the results. 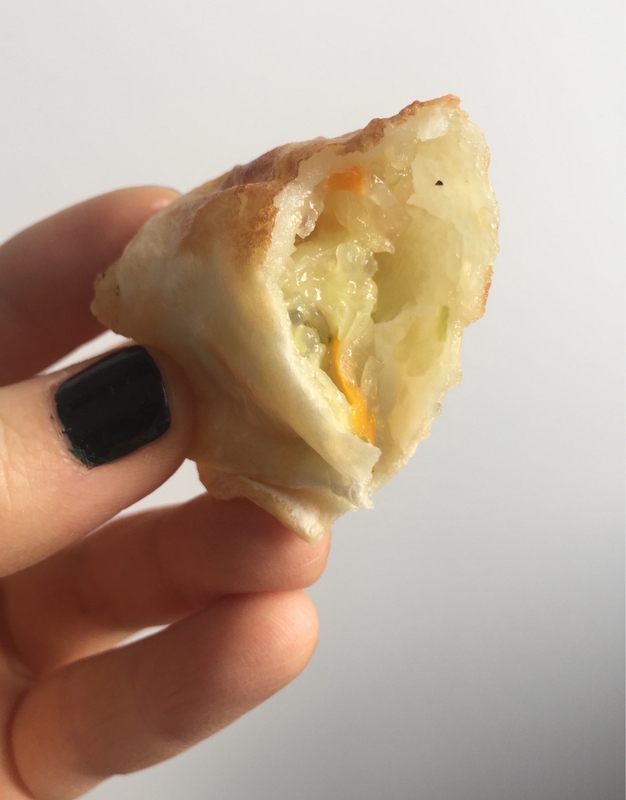 Once I realized the Airfryer could replicate a deep-fried taste and texture pretty closely on things like dumplings and chicken, I had to test it on healthier foods. Because if this gadget has the power to make vegetables taste deep-fried, then THE WORLD NEEDS TO KNOW. First up was frozen vegetables, which were a ~win~. OK, so I didn’t actually think this would work — but these were so good! 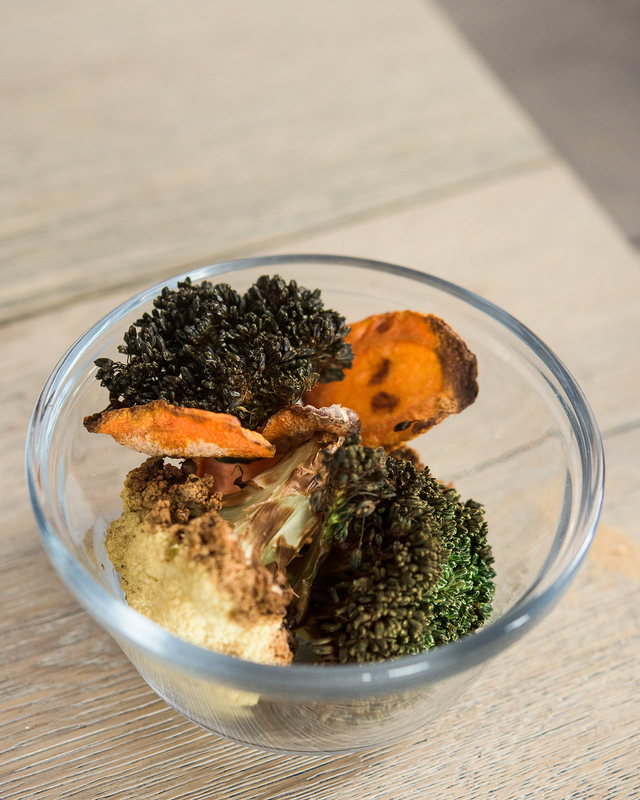 After being air-fried, they had transformed into crispy, break-apart pieces of vegetables that had a texture more like chips than chewy vegetables. 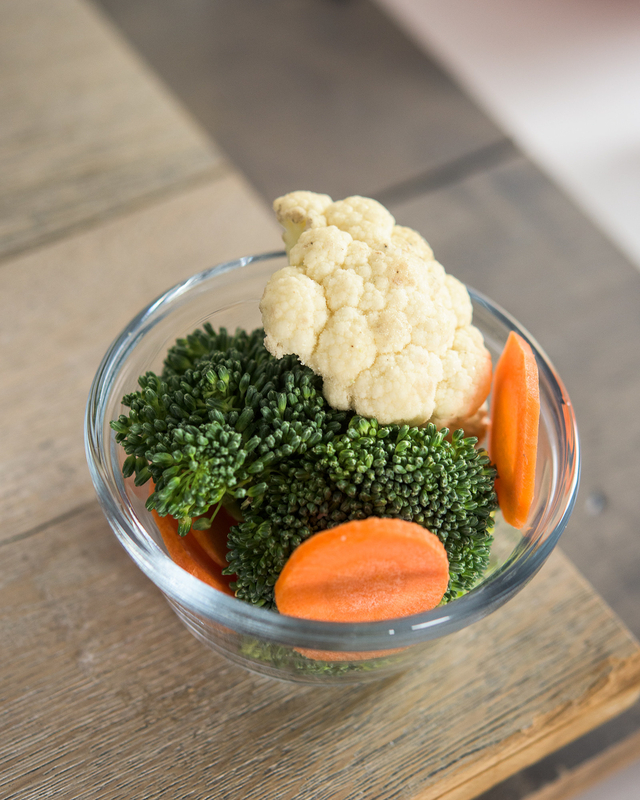 With just a dash of salt, I’m pretty sure I could down this whole bag of vegetables, easy. But what about raw vegetables? This is where the Airfryer started to disappoint. These certainly looked like they'd be crunchy, but a single bite gave way to a pretty boring, chewy, and flavorless taste. 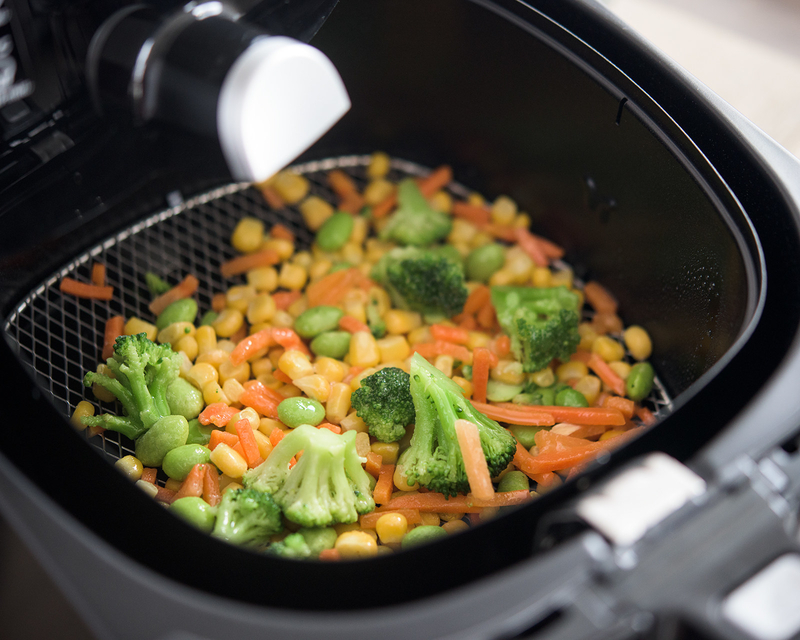 My hypothesis is that since frozen vegetables are slightly more processed and designed to be cooked straight out of the bag, they're more likely to taste delicious after one Airfryer session. 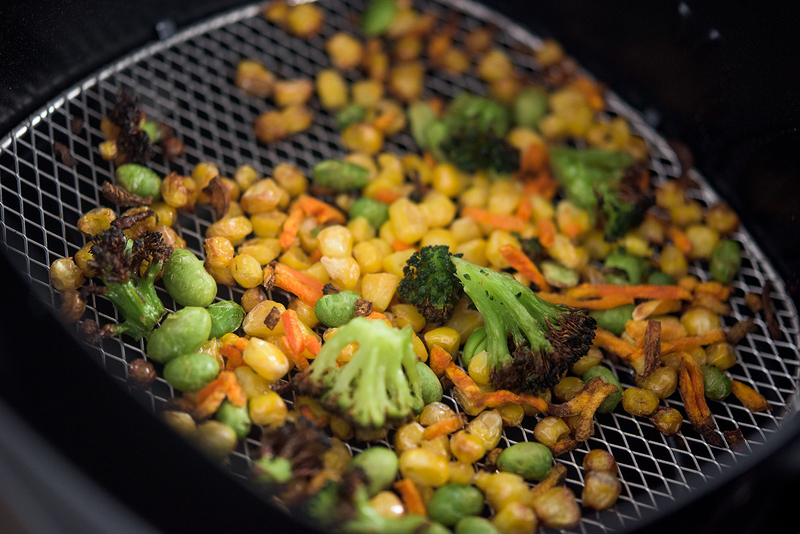 But fresh produce proved too raw — and resistant — to the heating powers of the Airfryer. 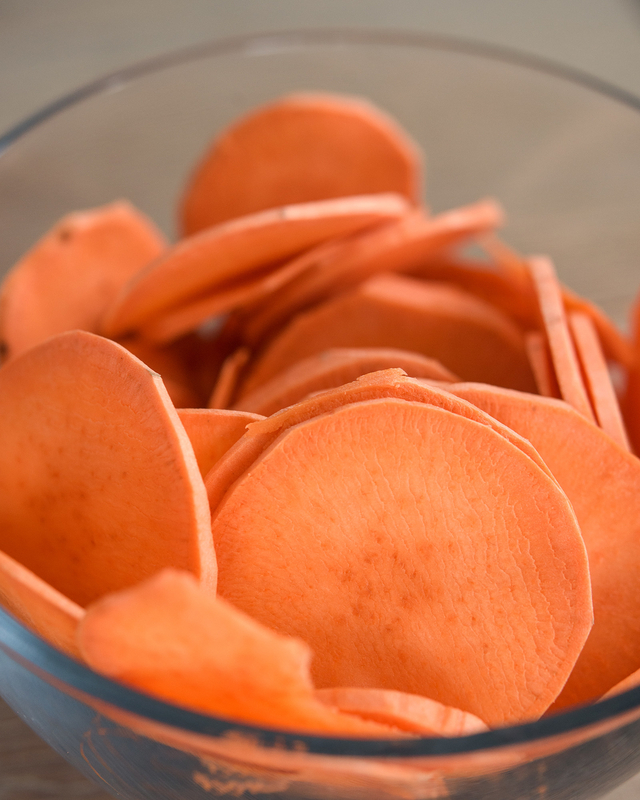 Even my attempt at veggie chips — aka thinly sliced sweet potatoes — was a letdown. Don't let appearances deceive you: This sweet potato was ~lifeless~ and lacking any kind of crunch — except the black, burnt ends of ends. I'd much rather eat these roasted or mashed. It is possible that you could make yours crunchier and less burnt by setting the Airfryer to a lower temperature and leaving it in for longer, but having tasted the few perfectly air-fried pieces in my batch, I'm not sure than any batch of air-fried raw vegetables could mirror the same taste or texture of the deep-fried, crunchy, melt-in-your-mouth kind. 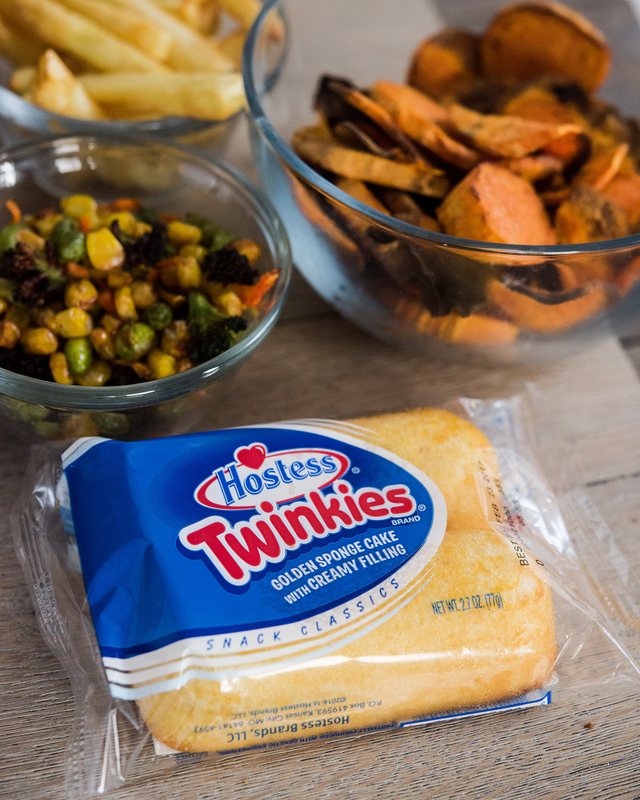 For curiosity's sake, I also decided to test this out on some weirder foods, like Twinkies. This was an unexpected fail — I was hoping the Twinkies would turn out like the super-junky county fair kind, but they were just dried out with gooier cream. 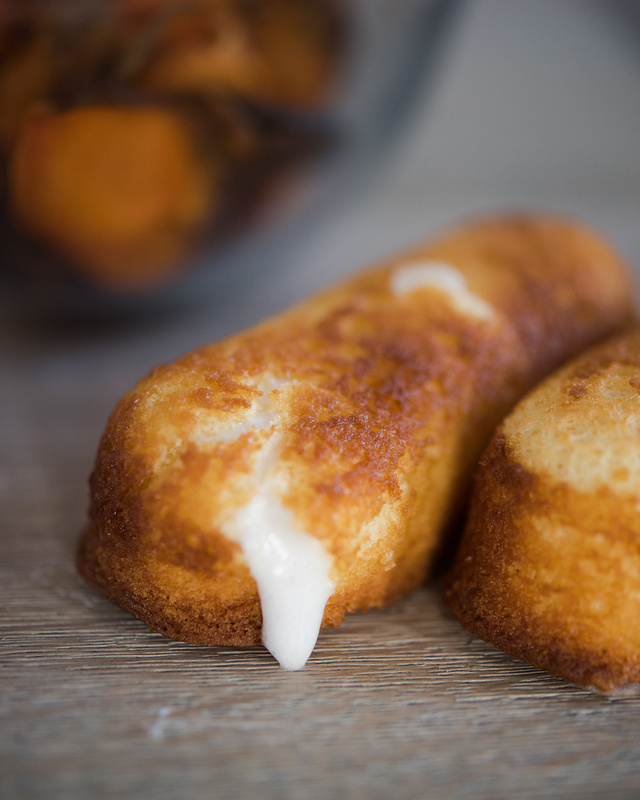 You're likely not buying an Airfryer to fry Twinkies, but just so you know: Some junk food should just not be messed with. Oreos pretty much stayed the same post-Airfryer. LOL. They were warm and more pliable, but that's kind of it — no gooey cream, no extra-crispy cookie, no fusion of flavors. Preservatives are really powerful stuff, guys! IDK, I thought the plasticky coating of string cheese would fry or something, OK?! Thankfully, the mesh basket lifts off the pan, so cleanup — apart from the melted string cheese — was pretty easy. The two parts are pretty big, but they are dishwasher-friendly. Also, the pan (above) as well as the basket have a nonstick coating, making them immune to crusty, clingy residue. FYI, most Airfryers also claim that you can bake, grill, and roast in the appliance too — you just need to buy accessories not included with your order. They'll run you between $20 and $50, depending. TL;DR: For me, the Airfryer was really effective in frying frozen foods (like fries and dumplings) with way less oil. But ~healthier~ options (like veggie chips or raw broccoli) were a letdown. They didn't hold up to the lack of oil, and are still best suited for cooking methods like pan-frying, sautéing, or roasting. 1) People who eat frozen food on the reg. This thing works its magic on frozen food, and it definitely delivers on its promise to fry things with less oil or fat than most other cooking methods. 2) People who have lots of room in their kitchen. I know that’s not a dealbreaker for most people, but this thing (while not that heavy) is pretty sizable, and as a minimalist clean freak, I’d much rather have the counter space than one extra gadget to clean and maintain. 3) People who won't mind the price tag. As mentioned, the version I tested was $200, but many alternatives (including older Philips models) are sold for less. 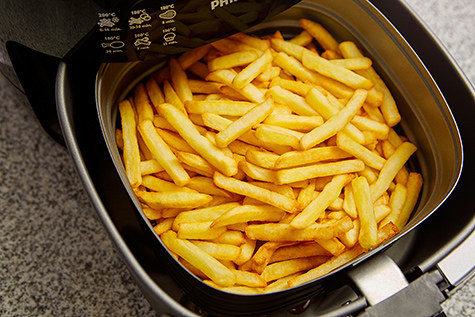 Would you get the Airfryer? I have one. It's awesome! I need this in my life ASAP. I'll stick with my deep fryer. Note: Philips sent us the Airfryer to try free of charge, but we were under no obligation to positively review it.